Behind the Wheel of the Bookmobile is a multi-media and documentary film project by Tom Corwin that follows a classic bookmobile on back roads with acclaimed authors taking turns at the wheel. 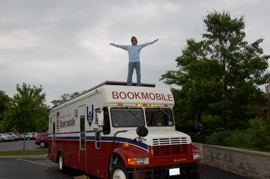 At each stop the bookmobile’s doors open inviting the public in to take their choice of digital and analog titles in exchange for interviews about the books that have changed their lives. The highlights of the journey will be distributed in a multimedia literacy outreach campaign, while the road trip culminates in a documentary film. 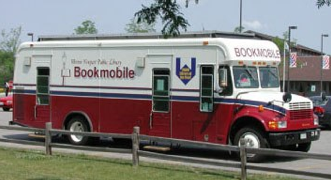 Recently de-commissioned from the Warren-Newport Library, in Gurnee Illinois, this beautiful hand-built Maroney 240-B bookmobile is preparing to begin the adventure of its life.